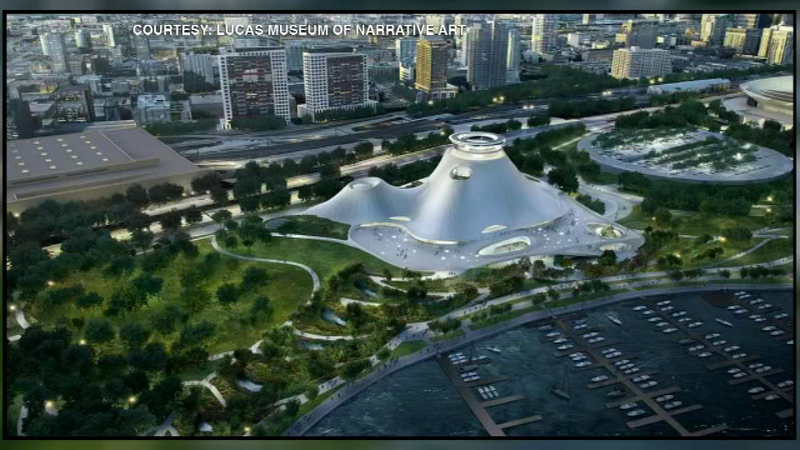 CHICAGO (WLS) -- The full Chicago City Council is set to vote on the proposal to build the George Lucas Museum along the lakefront on Wednesday. The city's Plan Commission and Zoning Committee have joined the Chicago Park District in signing off on a 99-year lease for the filmmaker's proposed narrative art museum just south of Soldier Field. The nonprofit Friends of the Parks said their lawsuit seeking to prevent the museum's construction at that site is moving forward.